YoYoRadio Tenth Anniversary Show posted! If you told me in March of 2005 that our show would still be a thing in ten years, I’d have told you that you were crazy. Ten years after our initial broadcast, we got together and looked back on our previous ten years. I’m joined in studio by original co-host AJ Kirk, plus current co-host AJ Busch and Tracy. Plus, Tom Uleau skypes in from his home, where he was recovering from walking pneumonia. Our guest on the show is Doctor Popular, who was my first guest in March of 2005! 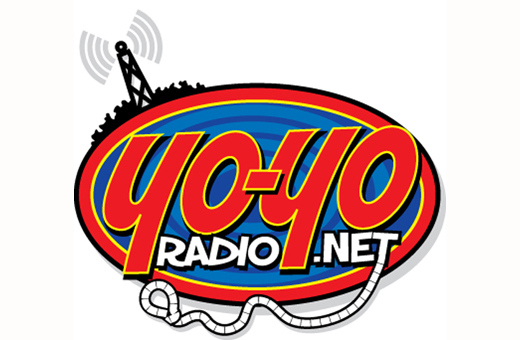 We play some clips from notable appearances on our show by legendary yo-yoers like 1932 World Yo-Yo Champion Harvey Lowe, the one and only Larry Sayco, plus celebrities like Johnny Tillotson and Kyle Sullivan. We also played, for the first time since the broadcast, clips from the ‘lost’ show with co-host Tressley Cahill. A big thanks to everyone over the past ten years who has taken part in our shows. It’s been a lot of fun! Thanks also to the people who made our show possible – Killer Duck Decals, YoYoExpert, Ryan Lewon, Mitchell’s (RIP) and YoYo Joe’s Toys & Fun (RIP). Special thanks to my co-hosts, AJ Kirk, AJ Busch and Tom Uleau.